The Roman Catholic Religion would like everyone to believe that they are the original church that Jesus Christ founded in Jerusalem on the day of Pentecost; the only problem is that we all know that the original Christian Church 'NEVER' ever began in Rome, the original church began in Jerusalem and was mostly comprised of Jews who had come to believe in Jesus Christ ( Yeshua ) as the promised Messiah of Israel !!! Even the Roman Catholic Church has to admit that it began sometime in the year 325 by none other than Constantine. The Roman Vatican would like everyone to believe that they are and that 'ONLY' they represent the true Church of Jesus Christ here on planet earth; 'BUT' what they don't tell you is that GOD has always had a small 'REMNANT' of true believers 'EVEN' during the 'DARK AGES' when the Roman Vatican almost enjoyed a near Theocracy throughout a great part of Europe !!! The true believers have always been persecuted and have been forced into an 'Underground Church' it is 'NO' historical secret that the Vatican authorized the persecution of any and all religious groups who opposed the Roman Papacy for several centuries and that is one of the main reasons why most people don't hear nor read of Bible believing Christians during all those centuries in which the Roman Vatican dominated most of European religion !!! For thousands of years only a very, very few human beings had access to the Holy Scriptures and it was no secret that most people during Martin Luther's era could 'NOT' read and write; even if they had access to a copy of the Holy Scriptures most people had no way of reading the Scriptures and much less of correctly interpreting them. For over 1200+ years the Roman Catholic Church enjoyed a near 'MONOPOLY' on Western European religious influence and power. The Roman Catholic Church is almost single-handedly responsible for what we call the 'DARK AGES' and in the 'Name of GOD' did great : abominations, spread heresy and it even killed and persecuted many who opposed it via : Inquisitions, Crusades and outright 'UNOFFICIAL' assassinations !!! 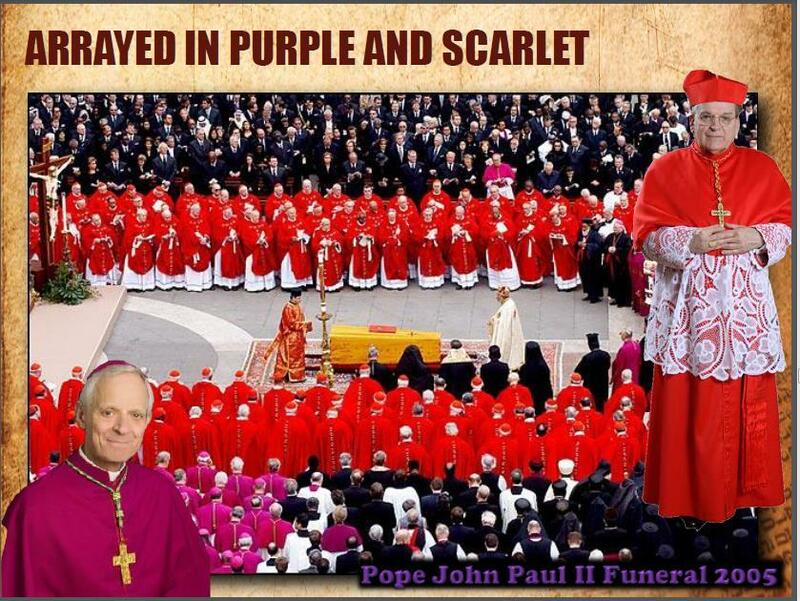 The 'Blunt Truth' of it all is that the Roman Vatican has changed very little since the 'REFORMATION' !!! Martin Luther without any exaggeration was like the Elijah of his time; in that he stood up against the very 'EPITOME' of religious prostitution; of spiritual corruption and of outright HERESY supported and promoted by the Roman Catholic Vatican !!! 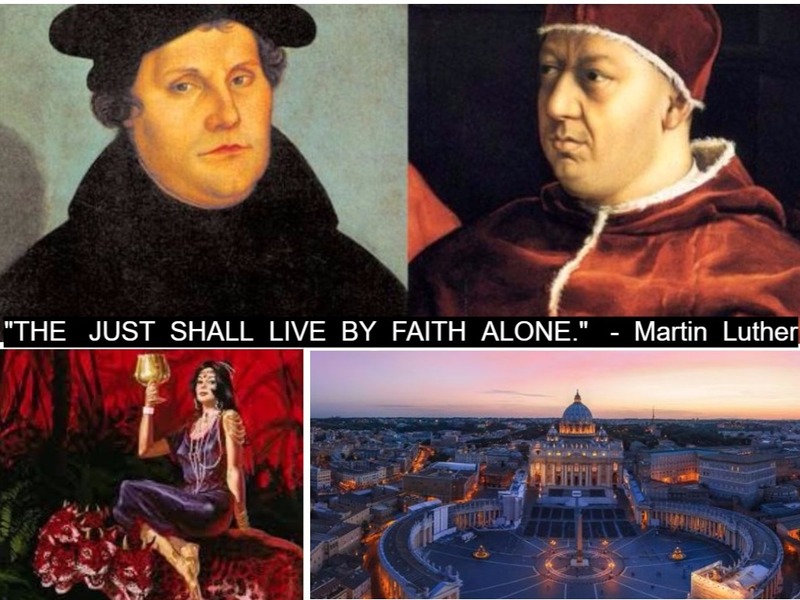 Martin Luther challenged more than the 450 false prophets of Baal that Elijah challenged at Mount Carmel some 2300+ years before; Martin Luther was against an entire religious institution that supported thousands of false prophets all over Europe via : Priests, Cardinals, Monks, Nuns, Bishops and other unholy characters supported directly by the muscle of the Roman Vatican !!! Most people never stop to think how the Roman Catholic Church was able to build such an architectural and majestic headquarter in the very heart of Rome !!! 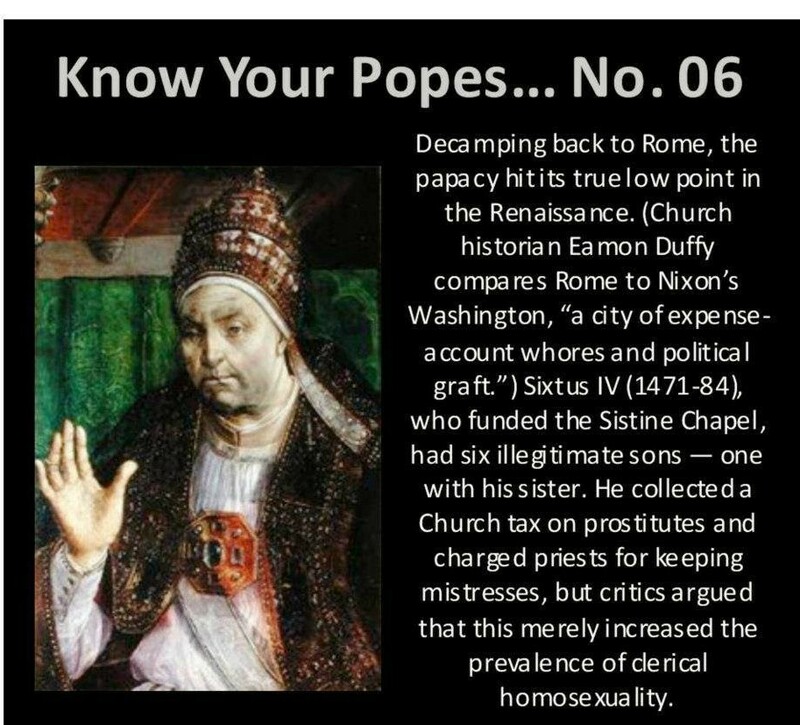 It is 'NO' secret that the Vatican for Centuries had been selling 'INDULGENCES' in one form or another !!! 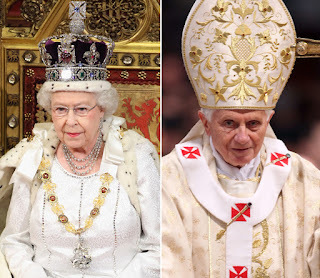 The Roman Catholic Church has quite literally been 'SELLING' $$$ heaven to hundreds of millions of unsuspecting human souls in return for : money, gold , real estate etc...and that is one of its greatest ABOMINATIONS and HERESIES !!! According to the Holy Scriptures; Salvation cannot be purchased !!! Most people even today do 'NOT' know that the Roman Catholic Church is the only one in 'Christendom' that still actually charges a fee for BAPTIZING and it doesn't stop there they actually still baptized children who are still innocent before GOD even though they now know that 'ONLY' adults should be Baptized in Water; our LORD Jesus Christ himself gave us the greatest of examples and even JESUS was baptized as an adult by John the Baptist !!! 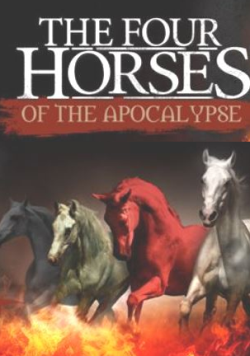 The Book of Revelation describes symbolically a religious system that will be riding the Beast with 10 Horns; according to the clues and the descriptions of the prophecies of Revelation a worldwide religion based in Rome ( Revelation 17 : 18 ) will end up being closely allied with the Beast of Revelation and its 'Little Horn.' !!! The historical evidence speaks for itself and the evidence is OVERWHELMING that that endtimes 'Woman Riding the Beast' of Revelation will be the Roman Catholic Religion whose religious worldwide headquarters is epicentered in ROME !!! Several years ago Christian author : Dave Hunt in the personal opinion of this student of Theology and Bible Prophecy wrote one of thee top 5 most important books ever published; Dave Hunt's 'A Woman Rides a Beast' is a must read because he overwhelmingly proved how the Roman Vatican came to be and why it is without question that the Roman Catholic Church will be that 'Woman Who Will Be Riding the Beast of Revelation' during the Tribulation period !!! 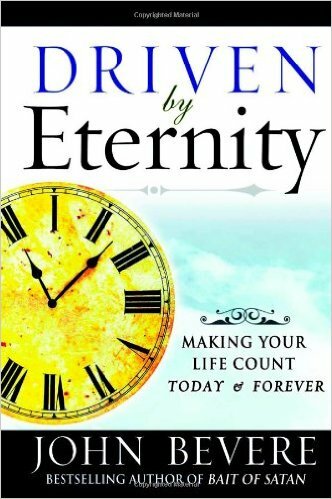 Because the fate and the very eternal destiny of over 1.2 billion human souls is at stake Dave's Hunt book hands down is much, much more important than anything Stephen Hawking or J.K.Rowling have printed on any of their books !!! So how much is the estimated net worth of the Vatican ??? 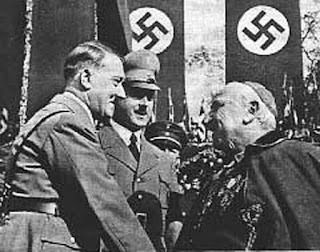 The Roman Catholic Church has a very, very long history of non-transparency in its finances. What we do know is that the Vatican is one of the largest landowners in all of planet earth; it owns key real estate ( Church properties*) in most of the Western Capitals and it also owns numerous priceless works of art by : Michaelangelo, Raphael and several other great artists. 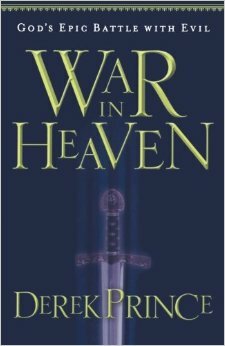 It is no secret that the Vatican owns hundreds of millions $$$ invested in global stocks and each year it claims to be bordering near the red and actually losing money 'BUT' what the Vatican never tells you is how much : $$$, Gold, Diamonds & other forms of earthly wealth they have managed to 'Stash Away' through the Centuries !!! The original and real Apostles of Christ stated in Acts 3 : 6, "Silver and gold I have none, but what I do have I give it to you in the name of Jesus Christ the Nazarene !" 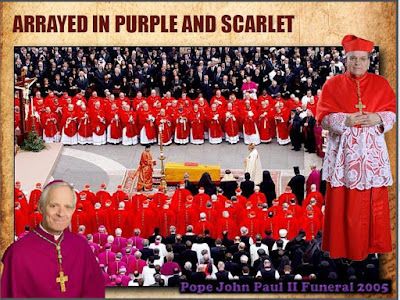 The true servants and prophets of GOD are 'NOT' surrounded by earthly riches; not even Elijah nor John the Baptist dressed as fancy & anywhere near how : Cardinals, Bishops and the Pope dress like today !!! 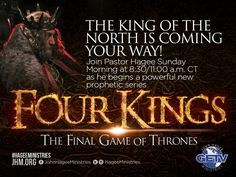 So what does the 'Reformation' has to do with Bible Prophecy ? The official eschatological position of the Roman Catholic Church is one of 'Ammilennialism' which 'REJECTS' the belief that Jesus Christ will have a literal 1000 year reign on earth as is guaranteed in Revelation 20 : 4. It is sad that Roman Catholics are more inclined to believe in the 'False Prophecies' of Fatima than in the written Prophecies found in the Holy Bible !!! Although the Vatican claims that it doesn't believe nor promote in a 'Replacement Theology' its actions through the centuries speak louder than words and even today's Pope gives more support to the Palestinian cause and independence than to Israel's right to exist in the Holy Land. The invention of the printing press allowed for the Gutenberg Bible to be mass printed in 'Non-Latin' and Martin Luther's reformation almost at the same time allowed for the average German believer to be able to read a Bible in their very own native language ( German*) The Roman Vatican most certainly did 'NOT' like the idea of everyone owning their own Bible; they felt that their 'Religious Monopoly' was being threatened and to add 'insult to injury' they also claimed that only they could 'Correctly Interpret' the Holy Scriptures !!! 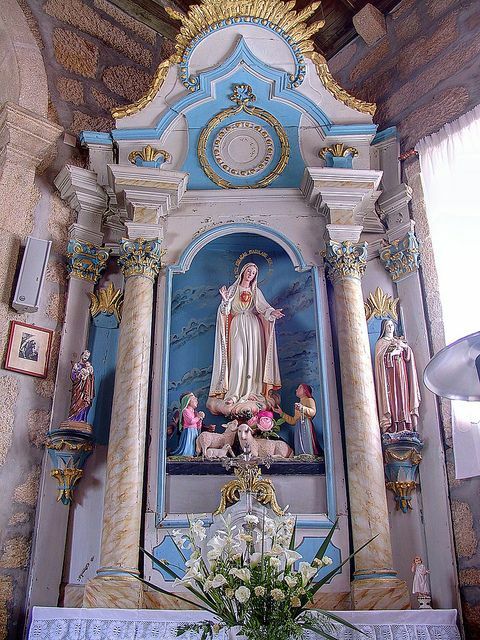 The Roman Catholic Church 'CONTINUES' to be one of the greatest promoters of IDOL Worship throughout : Central America, South America, Parts of Africa and Mexico and it still encourages its Catholic followers in the : 'Adoration, Veneration and Worship to Idols made out of human hands.' !!! Roman Catholic Churches are infamous for adapting and mixing 'Pagan Traditions' and Mixing them with Christian One's !!! Mexico, Central America and South American Catholic Churches have similar altars such as this typical altar that reflects 'MARY WORSHIP' plain and simple !!! In conclusion, you would think that the Roman Catholic Church and its very highly educated hierarchy would recognize their : heresies, their sins, their abominations and truly reform the entire Roman Catholic Church 'BUT' just as she is described in the Book of Revelation she will 'NOT' change and she will 'NOT' repent ( Revelation 2 : 21 ) the Roman Vatican continues to encourage the worship of idols via : 'Catholic Saints, Sacred Statues, Holy Images and numerous Icons and statues of Mary' !!! She continues to preach and teach salvation by works ( Catholic Sacraments) and 'NOT' by faith alone in Jesus Christ and even though a very large percentage of her Clergy continues to struggle and fall with her unbiblical requirements of CELIBACY she has no plans to change it anytime soon !!! The HOLY SPIRIT dwells not in the Vatican; for the Vatican does 'NOT' want to be led to all TRUTH; the Roman Vatican long, long ago got drunk in its own lust for earthly power and influence !!! 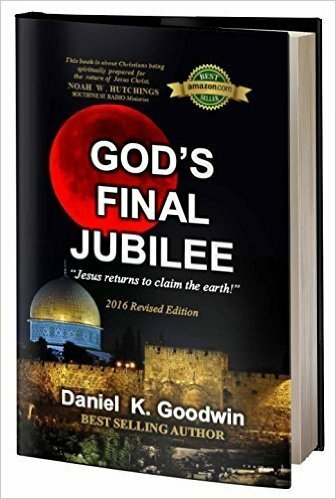 The Clergy of the Roman Catholic Church is almost reprising the role that the Pharisees and the Sadducees played when our LORD Jesus Christ walked about Jerusalem; those religious leaders thought that they had GOD and the Holy Scriptures all figured out 'BUT' they didn't realize that they had 'Spiritually Corrupted' themselves a while back and in their pride most of them would later 'Die in Their Sins' because they had rejected the very Messiah that had once stood in front of them; today 500 years after the REFORMATION most Priests and other Catholic leaders have RELEGATED the HOLY BIBLE aside and have continued to pursue ancient semi-pagan religious rituals and anti-biblical man-made traditions instead of SOLA SCRIPTURA !!! No, the Roman Catholic Church has 'REFORMED' very little in 500 years, although they long ago did abandon the 'Latin Mass' they are Ammilenialists and do 'NOT' interpret the Book of Revelation as most 'Born Again' believers that take the Holy Scriptures literally and at Face Value !!! This student of Theology does 'NOT' dare to say that all Roman Catholics will go to hell 'BUT' anyone who is not born again of 'Water and of the Spirit' according to our LORD Jesus Christ will 'NOT' be able to enter into the Kingdom of GOD ( John 3 : 5 ) and because most Roman Catholics are taught by their : Priests, Bishops, Cardinals and Popes to believe that being born again is 'NOT' a Roman Catholic 'thing or requirement' most will die in their sins just like the Pharisees and Sadducees !!! By : Mario Romano. Our LORD Jesus Christ warned us in the Holy Scriptures that we alone are responsible for seeking and finding the TRUTH !!! ( "Narrow is the way which leadeth unto Life and few are those who find it." - Matthew 7 : 14 ) Although this vessel of GOD was born into a 'Die Hard' Roman Catholic family and in one of the most Roman Catholic countries on planet earth; Mario Romano made the decision to follow and believe ONLY in the Jesus of the Holy Bible very early on in his teenage years !!! The very first day I attended a Bible believing Christian Church this servant was BAPTIZED in water and upon returning home my biological father heard of what I had done and he quickly struck me with his worn out belt all over my back !!! ( The Kingdom of GOD doth suffers violence - Matthew 11:12 *) I forgave him many years ago and have learned to take up the cross daily and deny myself !! !